You first met baby S from his Fresh 48 session a few weeks back. I was excited to see him again soon, this time in the studio for his formal newborn pictures with his entire family. He is a super lucky little one to be surrounded by so much love. We started this session with sibling and family pictures. I wanted to make sure felt extra special since she was now the big sis to three little brothers so we incorporated a really beautiful crown of baby's breath flowers into her hair. This extra special touch really made her look and feel like the princess she is. I also love to capture a sibling shot all together, but it's just as important to give each sibling their own image with the new baby. 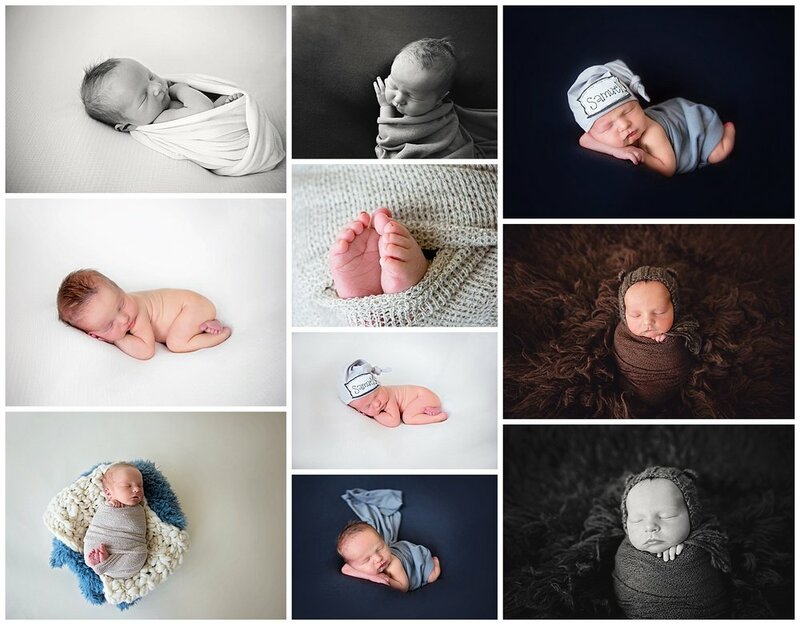 Baby S was an absolute rockstar in the studio - with his siblings, family and adorable solo studio shots. We were able to capture a nice variety of images just of him all alone. These will make for perfect heirloom memories for years to come! Expecting? Contact Melissa today to reserve your spot with MZ Photography!